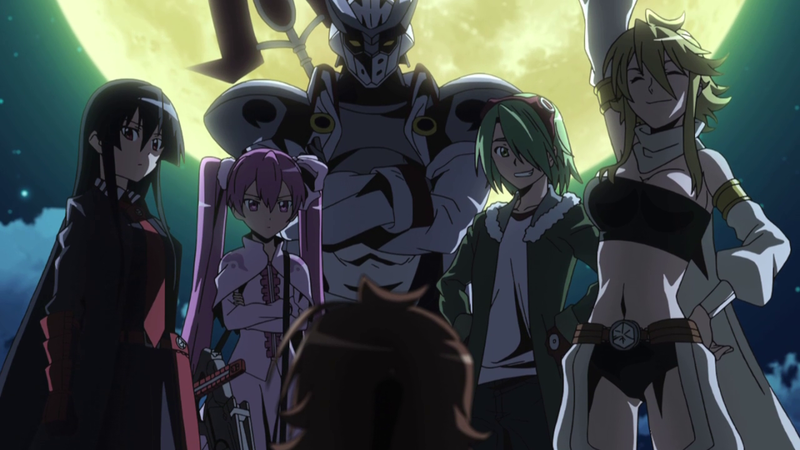 If there’s one thing that you need to know about this series, it’s that Akame ga Kill! does not hold back…ever. Having read the manga, I’ve been anticipating this anime for a while now and watching the first episode kind of reaffirms this. Knowing what happens doesn’t make things less tense (it might actually make things worse). It’s kind of funny to mention this because I’ve been marathoning a blind LP of Final Fantasy VII and the person doing it knew all along that Aeris dies, but seeing it action and in context of the story makes all of the difference. That being said, I think this first episode has remained quite true to the original manga, which is always nice to see. Our story begins with Tatsumi (CV: Soma Saito) moving to the big capital city to make a name for himself in hopes of restoring prosperity to his impoverished village. He gets into a bit of trouble when the beautiful Leone (CV: Yuu Asakawa) swindles him out of all of his money, and he finds himself in the care of a seemingly friendly, well-to-do family. Well, as the series is quick to teach us, there is incredibly evil within the heart of the capital city, and Leone is the least of Tatsumi’s worries. The Akame ga Kill! anime is also explicit about how much violence it’s willing to show, which is quite a bit. We see the remnants of Tatsumi’s childhood friend Sayo, after she had been captured and tortured to death by the rich family. I’m upset that she’s voiced by Mikako Komatsu because she deserves to voice a character with more screen time, dammit! In light of the atrocities done by the family, Tatsumi finishes the daughter off himself without a second thought. What I really like about the series is that the line between good/bad is not well-defined at all, and we’ll see that more as the series progresses. Sure, there are people like that family who do horrible reasons for really no good reason at all, but there are characters like the members of Night Raid of mercilessly murder people because they believe it will restore order to a lawless world. Is that really the answer? I’m sure that’s what the series would like us to think, and it’s unarguably an option. However, I’m not completely caught up with the manga so I can’t say whether this issue comes up ever. What I can say, though, is that heroes aren’t given any glory here. We see this in the very first episode with Tatsumi’s other friend Ieyasu grasping for something cool to say just before he dies. And throughout the first meeting with Night Raid, there are quick, funny exchanges especially with Akame (CV: Sora Amamiya) who happens to be my favorite character, by the way. Another person comes close, but we’ll meet her some time later. These comical moments stick out over the serious and gruesome scenes and sort of act as a way of saying that this dark stuff happens, it’ll continue to happen, and it’s not anything really worth giving special attention to. It de-glorifies death, and that in itself is scary. So if you like action and bloodshed, then of course you’ll like this series. 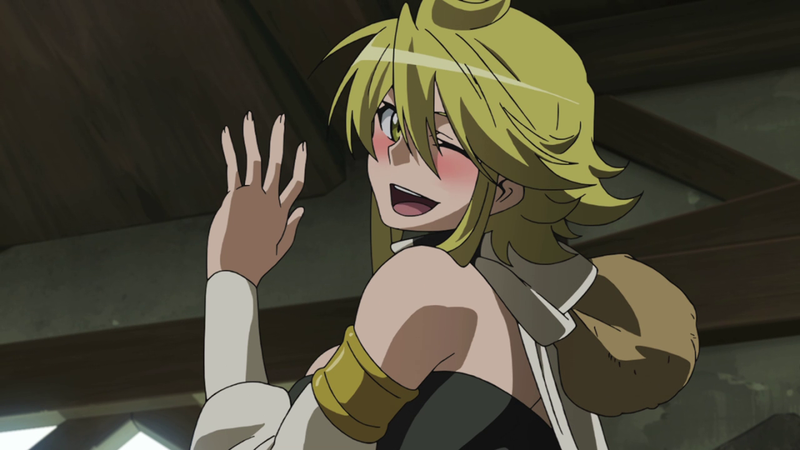 But for me, the appeal of Akame ga Kill! is this struggle for what you believe is right, as well as the colorful cast of characters. “Justice” is a theme that will become important soon enough.